Allama Iqbal Open University is providing quality education to its students at their home. By facilitating them with books and tutor by post from intermediate level to Ph.D. level in different programs. And admissions were provided twice a year so that students never get admission first time may avail the second chance. AIOU has campuses almost in every city of Pakistan. This university has a unique way of providing education to their students. AIOU fee structure is very less and simple which is very easily accessed even by poor people. So that education spread in the country by which literacy rate is increased in Pakistan. This fee structure is for the students who were selected by the university means they meet the eligibility criteria of the university. Open University has admission, registration, technology, courier, credit hour, and thesis checking and thesis submission fee. Bachelors are the level of study after intermediate which is offered in different subjects by the AIOU. 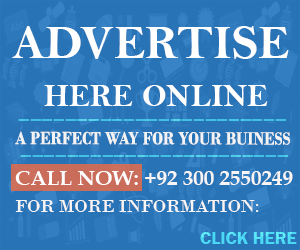 This university is providing different disciplines B.ED, BS, and BA in chemistry, physics, economics, math’s, statistics, Islamic studies, Pakistan studies and much more at meager cost. Allama Iqbal Open University is giving quality education at on cheap rate. This university is helping society in a way that students can do full-time jobs along with the education. At a higher level of study, students need its interest than any other thing. 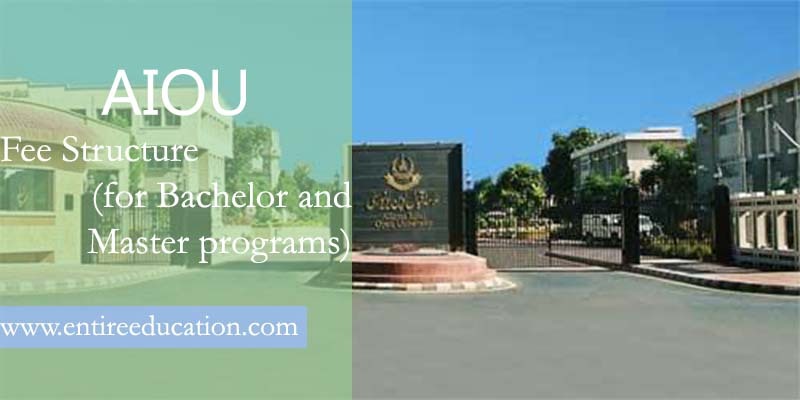 AIOU is one which is offering higher education at a very inexpensive rate. Which is a great opportunity for the students that will not study in another university due to the high rate of study? This fee structure includes registration, admission, courier and technology fee some of which is paid only first time or first-semester detailed AIOU fee structure for B.ED (1.5Yrs, 2.5Yrs, 4 Yrs) BS.CS is given below. After Graduation P.hD levels come, that is interestingly more selective, and selection is done on student’s interest because this is a life-changing decision. This can make your life if you recognize your strength and select your program of study according to it. AIOU offers admission in MS Masters MA and M.ED in different subjects with Allama Iqbal Open University fees schedule 2019. Like physics, math’s, economics, Urdu, Islamic studies, Pakistan studies, education, Arabic, and different languages. Allama Iqbal Open University is offering admissions in all these at a very reasonable rate. No other university is offering higher education at this cost, and some students did not only continue their studies due to the high cost of higher education. At this level, the student may study and do their thesis or other work sitting at a distance or to join the compass of AIOU. These all fees are pay only first time includes registration, admission, courier, technology and thesis checking fees. The paid fees are refundable, card and library charges are paid only first time and security is refundable. Detail of AIOU fee structure 2019 for Autumn and Spring is given below.